Well… what a year that was, eh?I had two trips this last year and a bunch of other life events making for a rather entertaining rollercoaster from start to finish. Bahamas for Spring Break – This was a trip I wanted to do for a long time. I got my wife and daughter (along with my folks and brother) out to Grand Bahama and got to show them what I love out there. I also got to fish out of Deep Water Cay and Water Cay Lodges and got to see the sharks get fed at Pier One Restaurant. It was great. 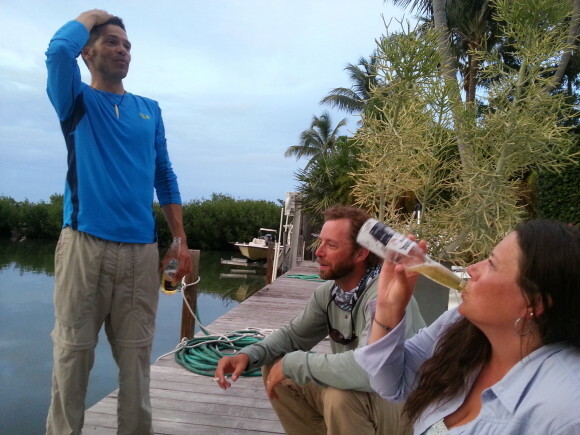 Florida for Tarpon and Rain – I got to go fishing in Florida with a whole cast of characters. The fishing was tough due to rain, rain and more rain, but I got an introduction to a place I plan on coming back to periodically over the remaining decades of my life. I got to fish Biscayne Bay, an important point that features later. Pregnancy – I didn’t so much get pregnant as my wife did, but still, there was that. She dealt really well with it all, it has to be said. Work ups and downs – I got laid off from my high-tech sales job (might have had something to do with there not being a product to actually sell… hard to sell if the product is never in a state it can be sold, right?). That was stressful, but was also an opportunity. I started doing some work for Angling Destinations and eventually, I landed a fantastic job as Director of Client Services for Machaon Diagnostics, a clinical reference lab in Oakland specialized in coagulation testing. I’ve landed well. 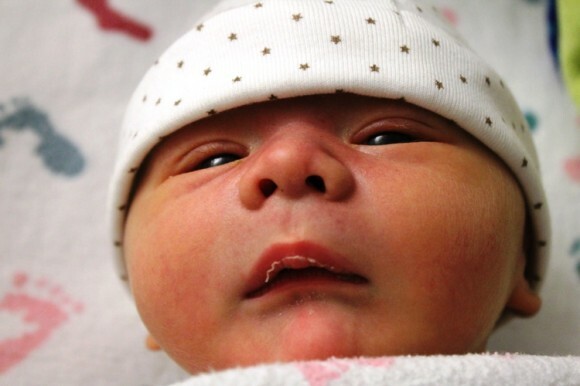 Oliver Biscayne – Just as the year was drawing to a close we added a new family member in Oliver Biscayne Stromsness. He’s doing great and after a bit of a false start, his sister eventually rated having a brother at “a gazillion” on a 1-10 scale. I’m a happy man. 2014 will most likely have a fishing trip in it. It looks like the Ragged Island Trip is suffering from cancellations and it is very likely we’ll shift to another island at a lower price point for the March trip. Beyond that, we will have burned up my wife’s PTO with maternity leave, so we likely won’t be back in the Caribbean this year, but I have high hopes of getting the family either to the Bahamas or the Keys in 2015 once again. I’m going to keep on posting on the blog, although I’ve had some difficulty getting posts up these last few weeks. I intended to write this post last night, but my son was asleep on my chest for about 2.5 hours and I figured that was more important. 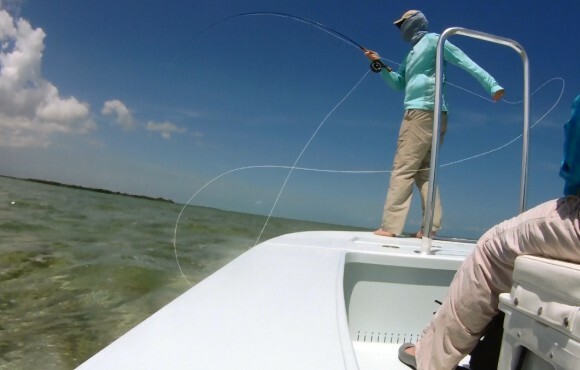 I’ll find a balance in there somewhere and I continue to look for and share interesting stories about bonefish and the people and places related to them. This entry was posted on Tuesday, December 31st, 2013 at 9:02 am	and is filed under All the other stuff, Fish Tails. You can follow any comments to this entry through the RSS 2.0 feed. You can leave a comment, or trackback from your own site.